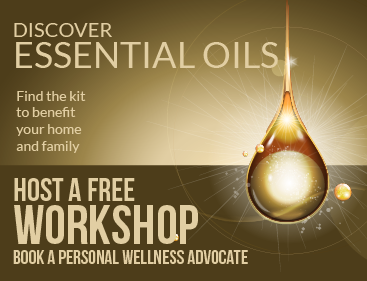 Essential oils don’t just smell nice, they’re helpful to aid in a whole host of ailments. From beauty to wellness and even household cleaning, essential oils have been used because of their fragrance and healing properties. Since essential oils are a natural option, they’re great for a more holistic, low-toxic approach to supporting the body’s immune system and ability to heal overall, says Magdalena Roze, cookbook author, journalist, meteorologist and ambassador for Oil Garden. Magdalena shares some specific essential oils to remedy common complaints. To ease hay fever and seasonal allergies, lemon, peppermint, grapefruit and lavender essential oils are particularly soothing. Magdalena suggests combining a couple of drops of each essential oil with water to a diffuser morning and night to help relieve hay fever symptoms. To aid a good night’s sleep, Magdalena says that it’s important to choose oils that promote relaxation, calm the mind and help get your body into a restful state. What’s more is that these scents can be used to help with mild insomnia, restlessness, nervous tension and mild anxiety. For de-stressing and getting you into a state of relaxation, sweet orange, mandarin, lavender, bergamot and cedarwood essential oils are top options. Cedarwood promotes the release of serotonin, a chemical in the body directly affecting feelings of well-being and happiness. “This essential oil is also a great natural sedative, as it promotes the conversion of serotonin into melatonin (which helps control and regulate sleep to bring feelings of calmness),” Magdalena says. When it comes to supporting immunity, eucalyptus, rosemary, lemon and tea tree are the go-to essential oils. At the first signs of a common cold, Magdalena suggests diffusing eucalyptus or tea tree oil to try and combat symptoms. Peppermint oil is a common choice for aiding headaches and migraines due to its menthol properties, which relaxes muscles and relieves pain. “I love applying diluted peppermint oil directly to my temples or breathing in lavender oil to relieve pain during headaches,” she says. To give you an energy boost, try an essential oil with orange, lemon, grapefruit, lime, lemongrass and ginger. In particular, grapefruit essential oil is made from the fruit rind, giving it cleansing and energising properties. For a clear mind, Magdalena suggests using lemon, orange, basil, cedarwood, rosemary and cinnamon essential oils. Magdalena says that she likes to use basil with a mix of other oils (such as citrus, cedarwood, rosemary and cinnamon) for a little lift either in the office or at home.